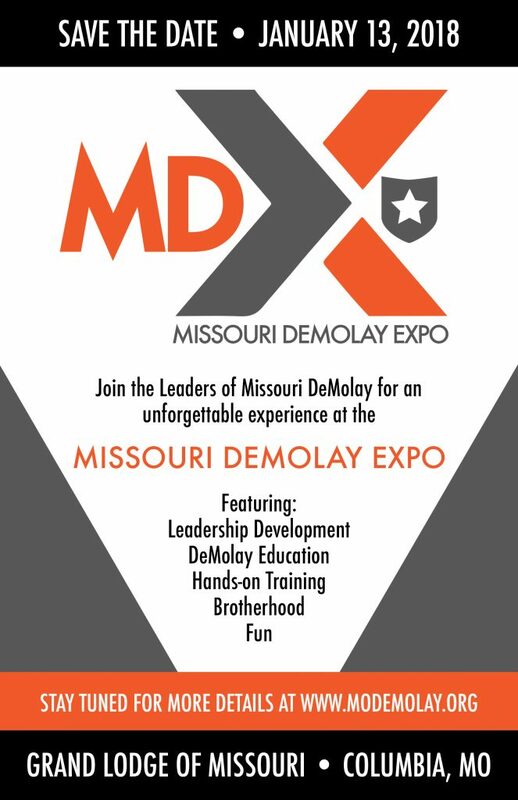 Join the Leaders of Missouri for an unforgettable experience at MDX – the Missouri DeMolay Expo – on Saturday, January 13, 2018 at the Grand Lodge Complex in Columbia, Missouri. This event will feature leadership development, DeMolay education, hands-on training, brotherhood, fun, and a whole lot more. More details will be announced soon – but be sure to save the date and make plans to be in Columbia with us on Saturday, January 13, 2018.